This Sunday, the Denver Broncos will face off against the Seattle Seahawks in Super Bowl XLVIII — and football fans across the globe will be watching. Even if you aren't a fan, it's likely you'll want to tune in for the commercials and the halftime show featuring Bruno Mars and the Red Hot Chili Peppers. No matter what brings you to the screen for this year's Super Bowl, we've got the tech to help you stay on top of the action. As you may well know, Super Bowl XLVIII will be held this coming Sunday, Feb. 2, with kickoff time scheduled for 6:30 p.m. ET. If you want to get geared up for the game early, pre-game entertainment will start at 2:00 p.m., including an interview with President Obama at 4:30. If you're at home, your best bet for watching is, of course, on your television on Fox. If you don't subscribe to cable, you should still be able to pick up Fox over the air — even in HD — with an HD antenna. We like the Mohu Leaf indoor antenna ($39.95 on Amazon). Not only does it perform well in picking up signals, but it's also paper thin and paintable, which makes it easy to place in any living space. You can also stream the game live for free through the Fox Sports Go website. During the Super Bowl, the site will not require you to log in with information about your cable provider, so you can enjoy the game cable-free. If you own a new Xbox One, you can watch the game through your console as long as you're subscribed to a participating cable service. The benefit? 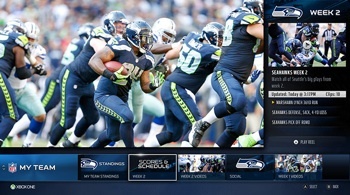 The Xbox lets you split the screen between the game and stats or other key game information, for a second-screen experience without the need for a second screen. Handy! If you won't be in front of the television at game time, you still have viewing options. 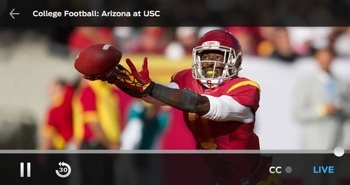 Fox Sports Go will stream the Super Bowl live via the Fox Sports Go app for iPhone and iPad. If you don't have an iPhone or iPad but you do have cellular service with Verizon, grab the NFL Mobile app, which will let you stream any NFL game — including the Super Bowl — for $5 a month. With either of these options, be careful not to go over the cap on your cellular data plan. Streaming video can quickly rack up the gigabytes, especially if you're watching the entire game on a mobile device without access to WiFi. Even if you're sitting in front of the television, there are plenty of reasons to keep your smartphone or tablet by your side. A second screen brings you vital game information you might otherwise miss, from what people are saying on social media to player stats. 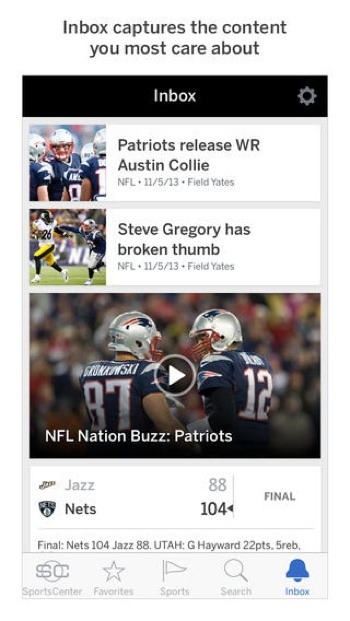 For keeping up with your team of choice, it's hard to go wrong with the free ESPN SportsCenter app, which brings you news, scores and game commentary from the experts at ESPN. But if you're really only interested in following your home team, you might prefer picking up the Denver Broncos or Seattle Seahawks apps, both which keep you on top of relevant stats, scores, news and more. If you want to go social for the big game, the place to do it is Twitter, where the whole world will be chatting live about the Super Bowl. To participate in the conversation, be sure you have Twitter loaded up on your phone or tablet — and get a head start by following @SuperBowl, @NFL, @Broncos and @Seahawks. 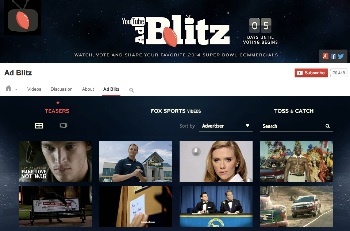 If you're just interested in the entertaining ads that air during the Super Bowl every year, get a head start by watching ad previews on Hulu AdZone or YouTube Ad Blitz. On both channels, you can also catch up on the best ads of Super Bowls past and watch new ads as soon as they air on game day — perfect for the non-football fan who just wants to catch zany game day ads. With these tech tips, you can keep up with all things Super Bowl this year. And don't forget to the other great part of Super Bowl: planning the football-themed food you're going to make. As I understand, though normally you need authenticate with your cable provider to use Fox Sports Go, they are waiving this for the Super Bowl as they did with the playoff games.